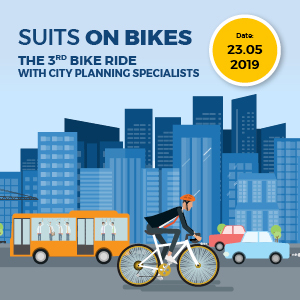 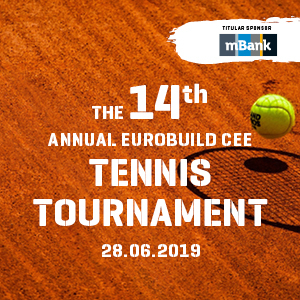 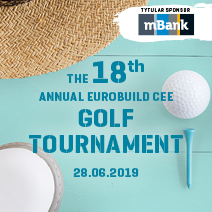 CMT invites you to take part in the 3rd Real Estate Table Tennis Tournament for the real estate and construction market. 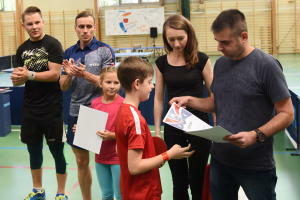 This will be an integration, social and sports event, which all those who enjoy competition, sport and spending their free time in an active manner are invited to meeting for. 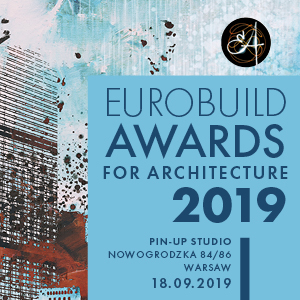 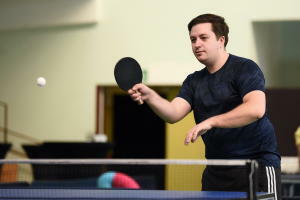 We are looking forward to some fiercely contested matches, not only between the big-hitters and winners of the first event, but also involving new, ambitious contestants. 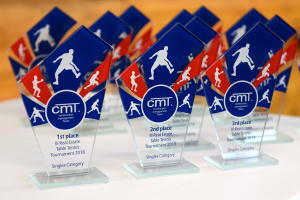 The best players will be presented with winners’ trophies. 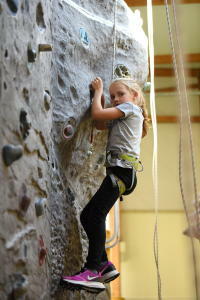 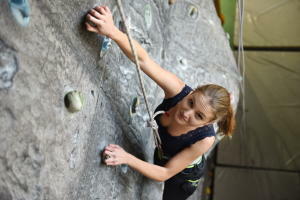 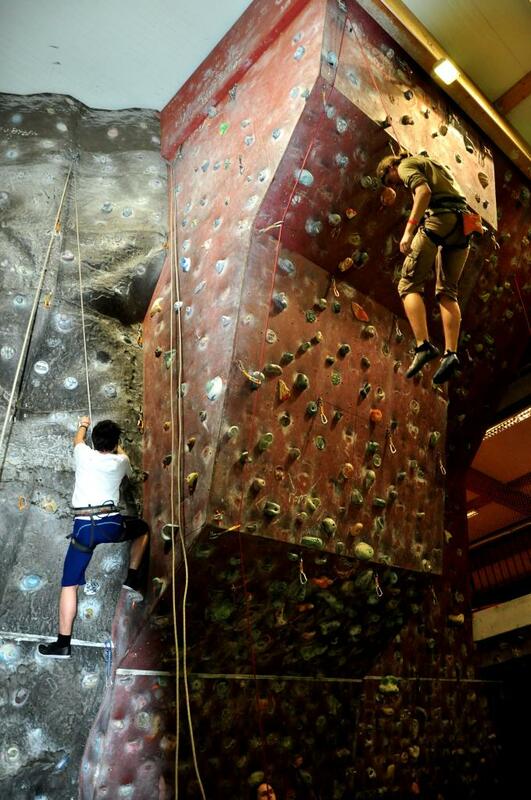 Additionally there will be a climbing wall for the use of all those at the event. 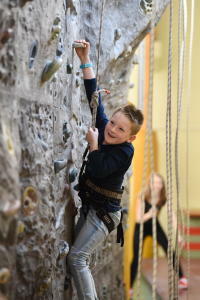 A great time and lots of exercise are guaranteed. 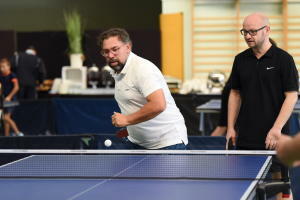 The knock-out system will be decided by the day of the tournament at the latest and will depend on the final number of entrants. 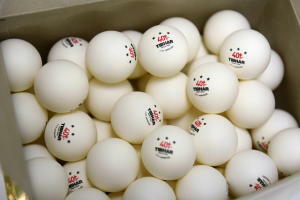 The referee will make all relevant announcements just before the draw, which will start at 9:30 am. We guarantee that everyone will play a minimum of 3 matches. 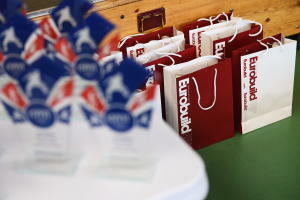 The tables will be available from 9:00 am. 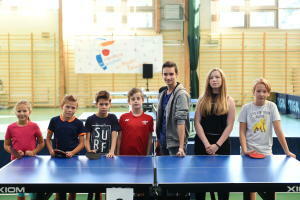 and the tournament will officially start at 10.00 am. 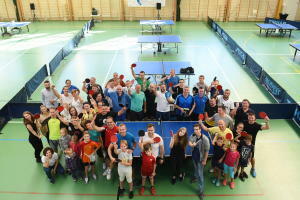 Integration of the business community through sport. 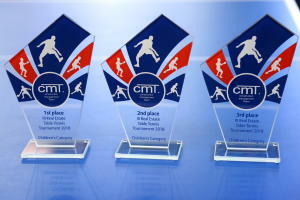 Deepening the relationship with cmTJ. 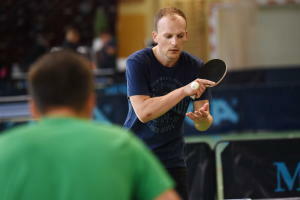 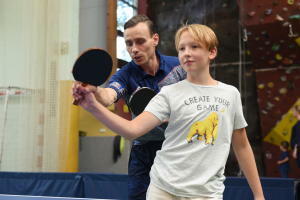 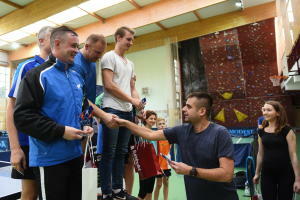 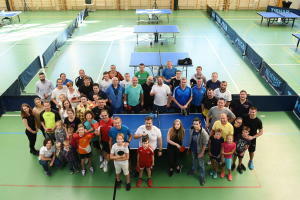 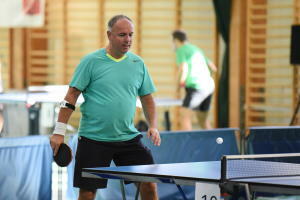 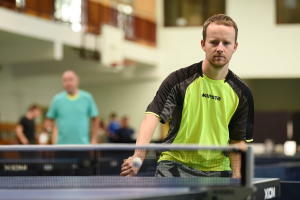 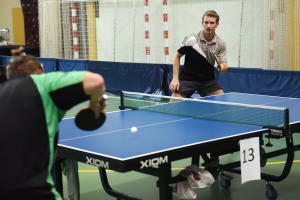 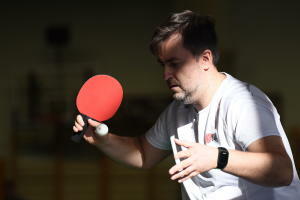 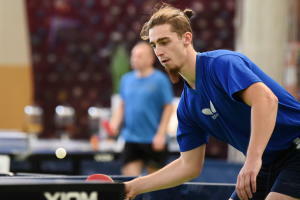 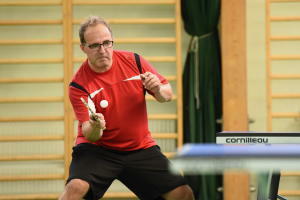 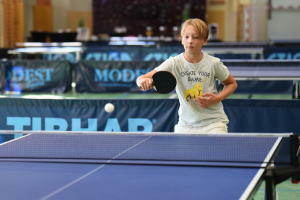 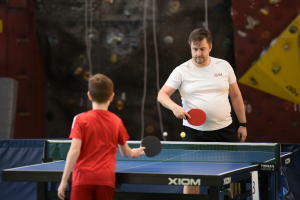 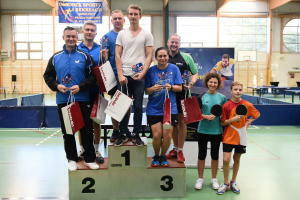 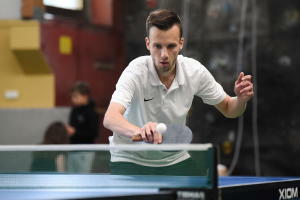 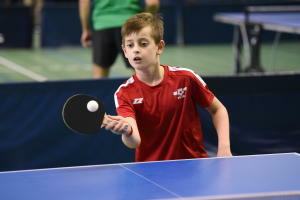 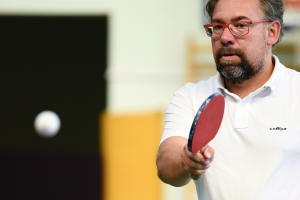 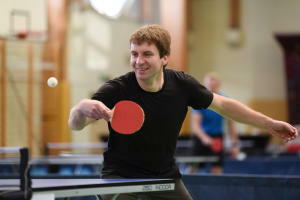 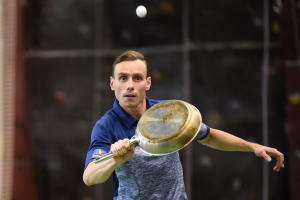 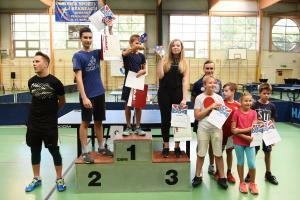 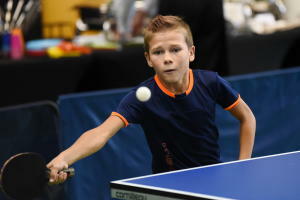 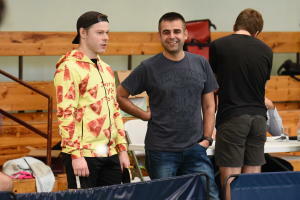 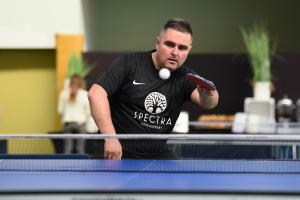 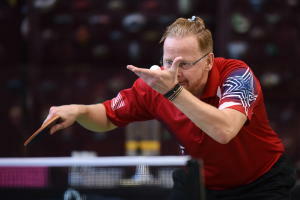 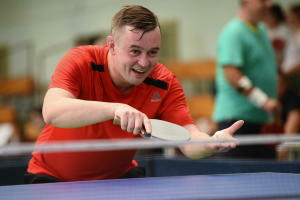 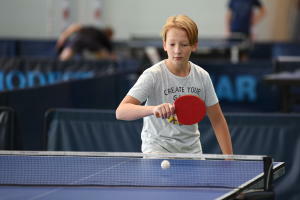 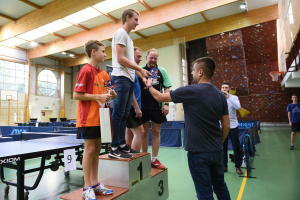 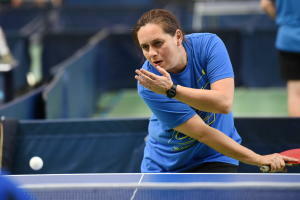 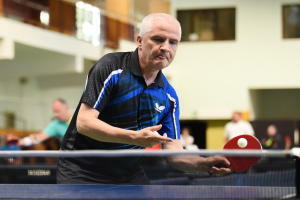 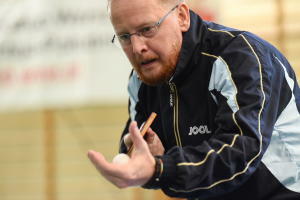 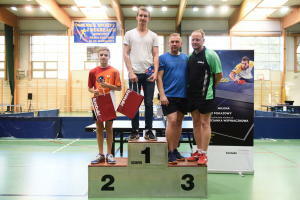 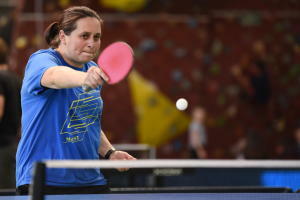 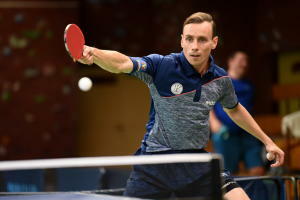 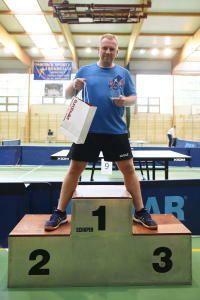 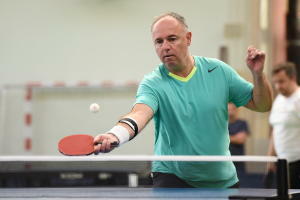 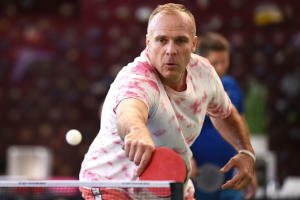 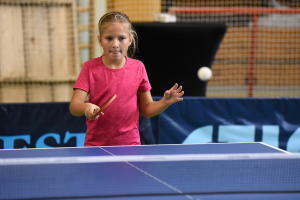 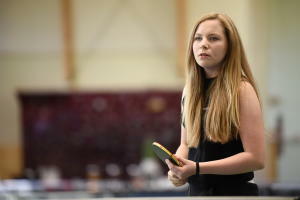 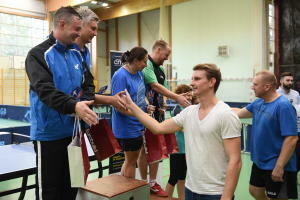 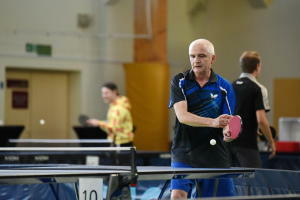 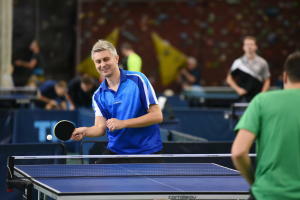 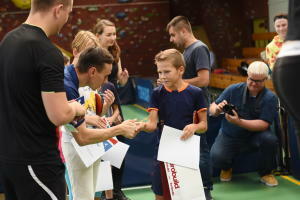 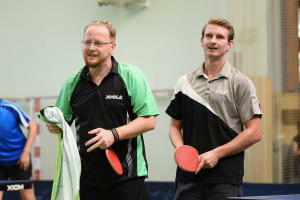 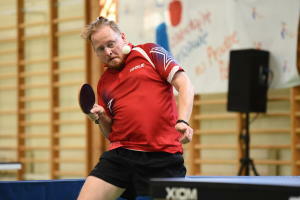 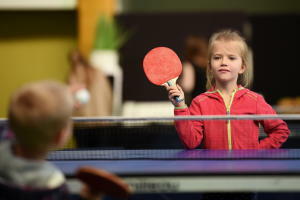 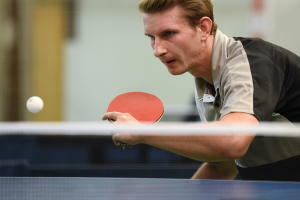 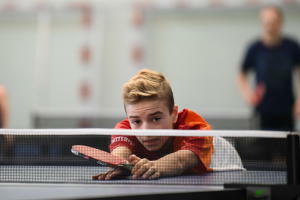 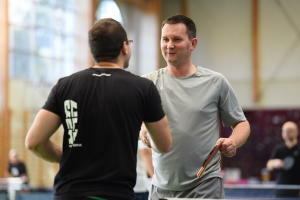 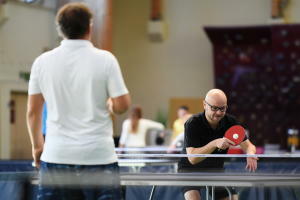 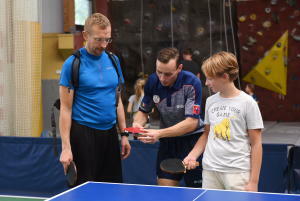 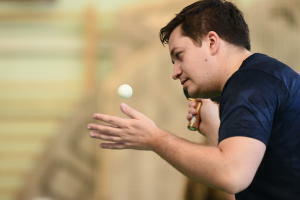 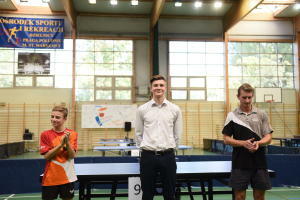 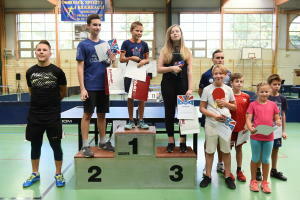 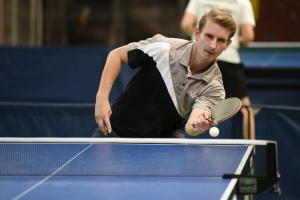 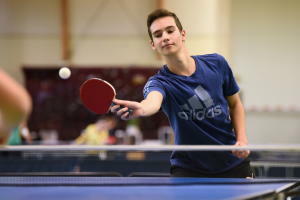 The tournament is open to all those who do not possess a Polish Table Tennis Association [PZTS] licence as well as to those from the lowest rank in their province. 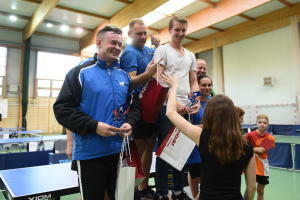 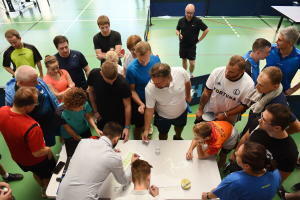 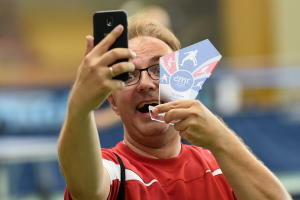 How the games are to be organised is to be decided by the head referee depending on the number of entrants. 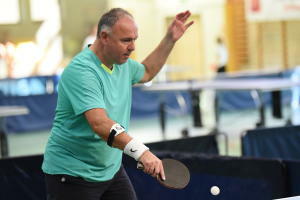 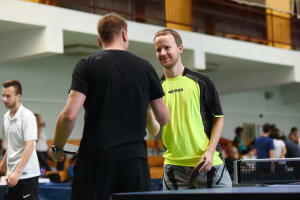 The organiser is not responsible for any injury suffered during the tournament. 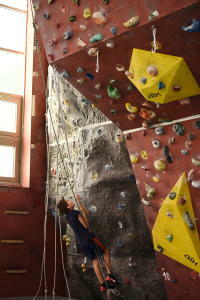 Sports clothing and spare footwear (flat sports shoes with a bright sole) are obligatory. 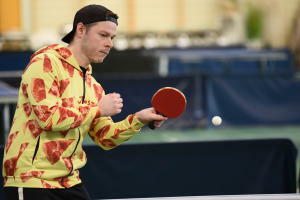 Players must have their own racket and sports outfit. 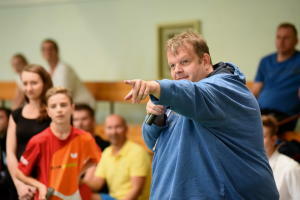 The organiser and the head referee of the tournament will be responsible for the final interpretation of the regulations. 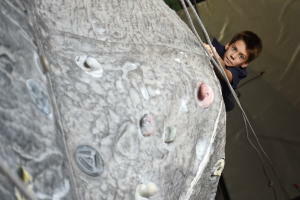 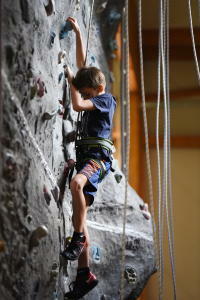 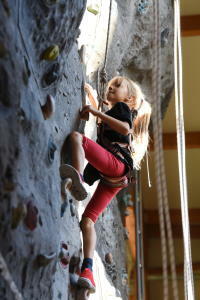 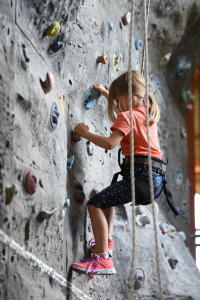 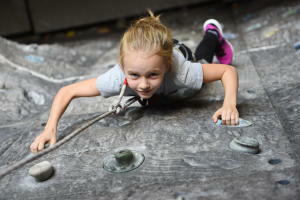 Those at the tournament will have three hours to try out a climbing wall. 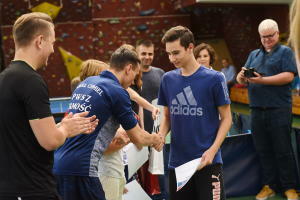 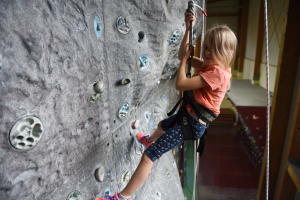 The rules governing the use of the climbing wall are included in the newsletter and will also be presented at the tournament. 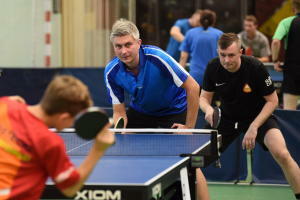 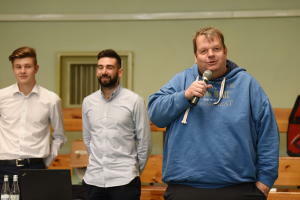 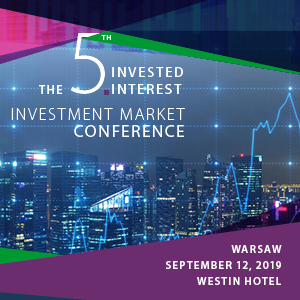 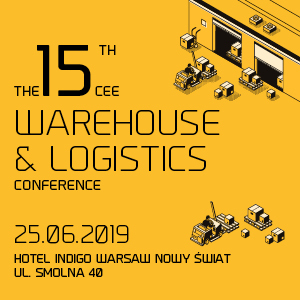 Marcin Sankowski and Mr Paweł Chmiel of the premiere league will take part in a demonstration match, which will the two players say will be held in an unusual for our entertainment, after which there will also be an opportunity to try out your skills in a game against a professional.